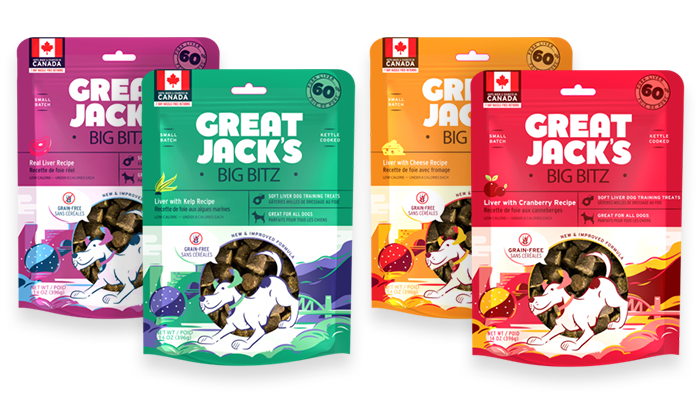 Introduce your dogs to Great Jack’s Grain Free treats today! 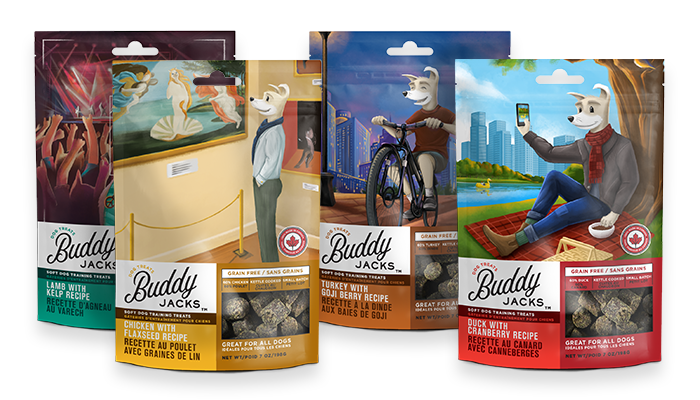 They come in two lines, Soft & Chewy and Freeze-Dried treats, available in 4 different flavors. Our soft and chewy treats are kettle-crafted with 60% fresh meat, simmered for hours then cured to provide the ultimate taste experience. Freeze dried treats lock in nutrients and preserve the flavor. They are also locally-produced and sourced. Premium soft-chewy treats that are great for training your dog. We currently have six mind blowing flavors with many more to come. Introducing a new line of natural and nutritious air-dried pet food. 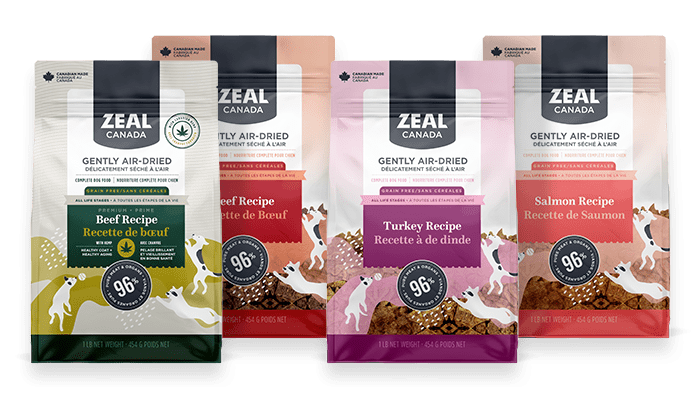 Zeal Canada offers a complete and balanced line of pet food in tasty recipes. New Product Line Coming Soon! We are working on a premium product line of cat treats and will be bringing them to market soon. Healthy, delicious, locally-sourced and crafted in Canada. Available in purr-fectly tempting flavours your cat will love. Interested in marketing your own pet food? Our research and development team can customize formulas based on your company’s needs and specifications. We offer a range of all-inclusive, value-added services – including packaging – to help bring your product to the shelf. Our daily production capability can go up to 20 tons. Contact us for more information.